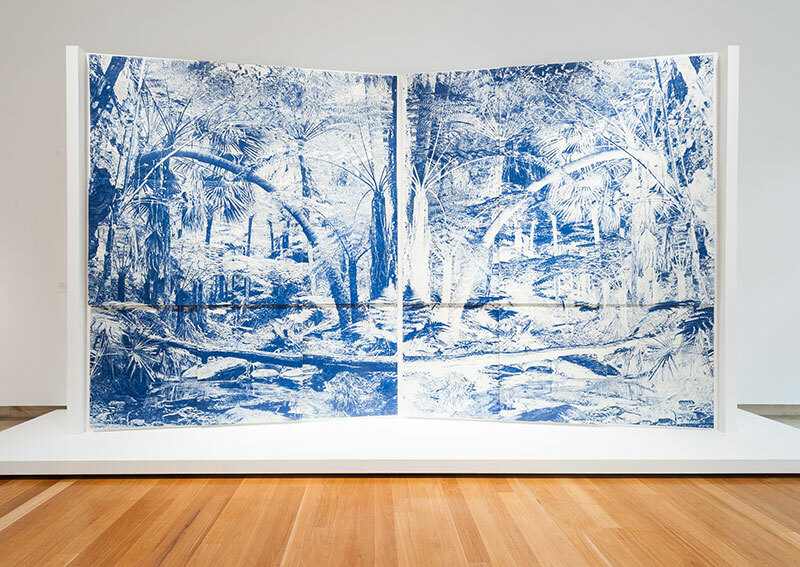 Asia Pacific Triennial of Contemporary Art (APT) is the Queensland Art Gallery | Gallery of Modern Art’s flagship exhibition focussed on the work of Asia, the Pacific and Australia. This eighth edition emphasises the role of performance in recent art, with live actions, video, kinetic art, figurative painting and sculpture exploring the use of the human form to express cultural, social and political ideas, and the central role of artists in articulating experiences specific to their localities. APT8 includes more than 80 artists and groups, an ongoing program of artist performances and projects; a conference as part of the opening program; extensive cinema programs; publications; and activities for kids and families. Two focus projects are the result of in-depth research and ongoing exchange with the region. Yumi Danis (We Dance) presents the vitality and complexity of performance in the cultures of some of our nearest neighbours: Papua, Papua New Guinea, Fiji, Solomon Islands, Vanuatu and New Caledonia. Kalpa Vriksha: Contemporary Indigenous and Vernacular Art of India looks at the breadth and vibrancy of Indigenous and vernacular art from regions of India. Also featured are site-specific installations by artists from UAE/Iran, India, South Korea, Myanmar, Australia and New Zealand. APT8 Cinema programs address the representation of Islamic cultures in popular culture throughout the region and showcase independent cinema from the Philippines.